Personal Training for every member of the family! Are you ready for life changing results? Tiger Boxing Gym fills the demand for a different kind of workout that features cardiovascular conditioning, strength, and technical training, as well as self-discipline and self-defense. Tiger Boxing Gym is committed to hard and honest training for men, women, teens and kids with all skill and fitness levels. Instruction moves at a pace commensurate with your physical abilities. We are confident that you will enjoy training with us and thrilled with your results. Tiger Boxing Gym caters to the individual and their specific training and athletic needs in a safe, friendly and non-threatening environment. We know that getting in the ring is not for everyone, so whether your goal is to compete, or to achieve excellent physical conditioning, our training will get you there. > Sign up now and your first lesson is Free! 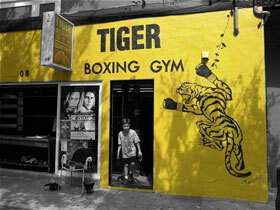 On the corner of Melrose & Gardner St.
Melrose is known for its celebrity and fashion status and just on the corner of Gardner is Tiger Boxing Gym. Painted yellow and black, you can't miss us, our building as well as our training stand out. We are flexible and will work around your schedule. Call us or stop by anytime. We provide an superior alternative to the “traditional gym”. We work with you to achieve your personal fitness needs and goals with personalized, professional, one-on-one fitness training sessions. Expertise in women's boxing Lessons. Specializing in firming and toning abs and glutes. fitness training can make in your life! An exciting and entertaining activity that kids enjoy. A great way for children to get in shape and learn the foundations of a new sport. Boxing instills a strong sense of discipline and mastery. 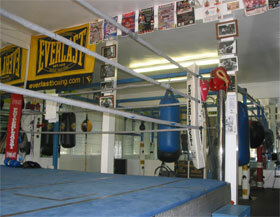 We focus on the exercise and training methods used by boxers. 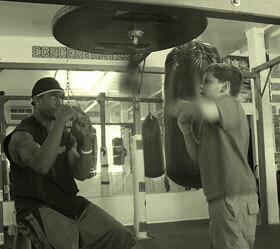 We can tailor a program that can be entirely non-contact without actual boxing or sparring.